Posted May 27, 2015 by eventreb & filed under Travel, Venues. Atlantic City has had quite an impressive campaign to rally tourism to this beautiful boardwalk town. Check out some of these cool venues worth visiting. 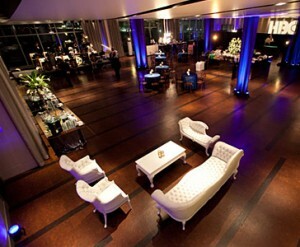 One Atlantic has opened its doors as the premier social event and wedding space in Atlantic City . Located on the top floor of The Pier Shops at Caesars, extending 100 yards out over the Atlantic Ocean, One Atlantic produces extraordinary events with unparalleled views of the sea, sand, and boardwalk through floor-to-ceiling windows. Offering world class gourmet catering, an in-house staff of expert event planners, and the highest quality partners, One Atlantic delivers superior personal service to customize the most special of events and realize each client’s unique vision. As a full event production venue, One Atlantic offers full-service event planning from start to finish, with expert planners and the finest partners, both on-site or off premise. One Atlantic offers over 10,000 square feet of integrated event space with unparalleled views of the beach, boardwalk, and Atlantic City skyline through floor to ceiling windows and an open-air terrace. The flexible space provides configurations for groups of 10 to 1,200 for cocktails, 5 to 500 for seated luncheons and dinners, and 10 to 750 for theatre-style or classroom seating. Atlantic City is where it all began, at the Comedy Stop’s original flagship. A staple for fun on the Atlantic City Boardwalk, for years the original Comedy Stop was a favorite haunt of the stars of comedy and those that enjoy their unique brand of cutting, insightful and witty commentary. 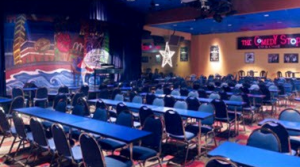 Atlantic City’s original comedy club was so successful that when the Tropicana began planning its retail and entertainment expansion program, Comedy Stop founder Bob Kephart was among the first entrepreneurs offered space in the expansion project. Now the Comedy Stop Café and Cabaret, the new venue is among the hip new dining and entertainment offerings in The Quarter, Tropicana’s new tower inspired by Old Havana. The Noyes Arts Garage of Stockton University is available for holiday parties, fundraisers, wedding ceremonies and receptions, cocktail parties, film screenings, cocktail parties and other networking or celebratory occasions. The need and desire for a dedicated arts district in Atlantic City had been acknowledged for years, but it wasn’t until the Casino Reinvestment Development Authority (CRDA) stepped in with funding and a plan to develop a new multilevel parking structure to include a retail arts space on the first floor that those plans came to life. The CRDA, which is funded through a portion of casino revenue, began construction of the parking garage and retail space in 2010. The Wave garage opened in March 2010, and the focus then turned to the creation of the 16,000 square foot Arts Garage. During your celebration, explore and enjoy our unique location with your guests as you wander through galleries filled with artistic expression. If you’re searching for an event venue as memorable and unique as your special day, you’ve found it in the Noyes Arts Garage Stockton College.